Angela is Principal and CEO of TRIO, one of the most highly regarded, fastest-growing design and visual merchandising firms in the nation. Angela founded TRIO in 1999 and has built it into the thriving national practice using a market-driven design approach where sales and marketing work in tandem with great design.Angela’s approach focuses on building strong, collaborative relationships with builders, developers and REITs through TRIO’s design services for multifamily, model homes and commercial projects. Using the latest in technology and market research, Angela creates forward-thinking environments that help clients reach their sales and leasing goals. TRIO has helped sell more than 25,000 residences, generating over $7 billion in revenue for builder and developer partners such as Alliance, Lennar and Toll Brothers.With a master’s degree in Sustainable design, Angela brings a passion for environmentally responsible design and considers how a space impacts the health and happiness of the people who use it. Having established a reputation for designing environments that seamlessly blend marketing, design, wellness and sustainability, Angela is currently leading the charge to incorporate WELL Building Standards into production and multifamily housing. TRIO has received 30+ MAME Awards (Major Achievement in Marketing Excellence) in the past five years, including a Best Custom Home award at The Nationals in 2017 and Best Commercial Project at The Nationals in both 2016 and 2017. 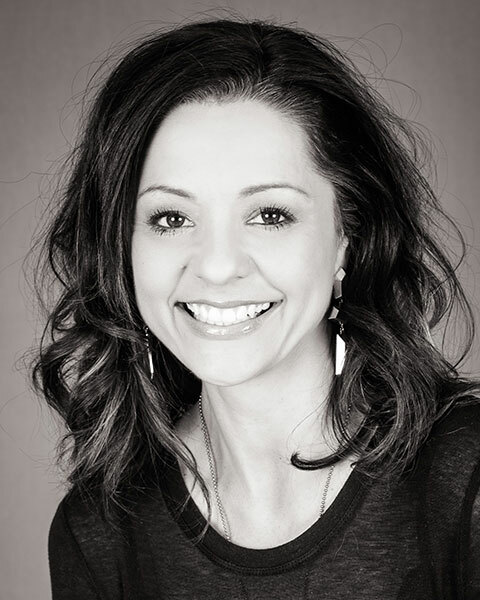 Angela’s honors include the 2016 Icon Award from the Home Building Association of Metro Denver and designation in Professional Builder’s 2015 “40 Under 40” program, which recognizes home building’s next generation of innovators and leaders.